Society tells us that there is always something wrong with us, and we can never truly love ourselves or be perfect unless we look like a photoshopped model, but that is not the truth. Happiness and loving your body doesnt come from constantly trying to change it or constantly trying to lose weight or look like someone else. It comes from being happy in yourself and allowing yourself to love YOURSELF and your body, despite the small things which you might see as flaws. Because those so called "flaws" they make you YOU. And there is nothing wrong with them. Scars, cellulite, stretch marks, birth marks, they are part of your body and that is ok, you can love those parts of your body, they dont you wrong or ugly. They mean that you have a human body. And you can love yourself while being underweight, normal weight or overweight. Self love is not just for a certain size or weight, self love is for everyone no matter size, shape or weight. And you can still love yourself and want to change something, but its changing for the right reason.... if you want to change your body and expect the happiness to come after that, that isnt always the case.... but if you already feel happy but know that a certain change might make you feel more confident or better then that change doesnt have to be wrong. I mean people are constantly changing their body and there doesnt have to be anything wrong with that, people can love themselves before and after the change. I love my body.... i loved my body in 2012 when i had reached my goal weight, and i love my body know, 4 years later and 6kg heavier. My body has changed and i like the changes that have happened in my body, but i didnt change my body because i hated my body before hand... instead the changes have happened from doing soemthing i love while loving my body. Loving yourself and being happy in your body shouldnt be something radical, it should be something everyone does and feels, someday hopefully. It is about accepting yourself, accepting your body and not letting society tell us how we should look to feel happy, perfect or accepted. Because if you are with the right people they wont care how your body looks (unless of course your weight/body size puts your health at risk, then they will care. ), but also there is no such thing as a perfect body. A perfect body is a functioning, happy and healthy body... not some photoshopped size 0, no birthmarks, scars or anything on the body - body. Focus on loving yourself everyday. Let self love be a daily thing by embracing yourself and knowing that you dont need to change, your body is what you live in and if you treat it right by feeding it properly and also moving your body then you will feel better in your body. And when you treat your body right and feel good in your body then it is easier to love yourself. Self love comes from the inside, literally.... mentally loving your body but also feeling good in your body by doing what is best for your body! Love yourself and ALLOW yourself to love yourself. Because sometimes you get so stuck in the self hate that even if you want to love yourself you wont even let yourself because you have hated yourself for so long. But ask yourself.... what has self hate brought to you? Has it made you happier or healthier? I doubt it. Self love comes from the inside and from WANTING to love yourself. 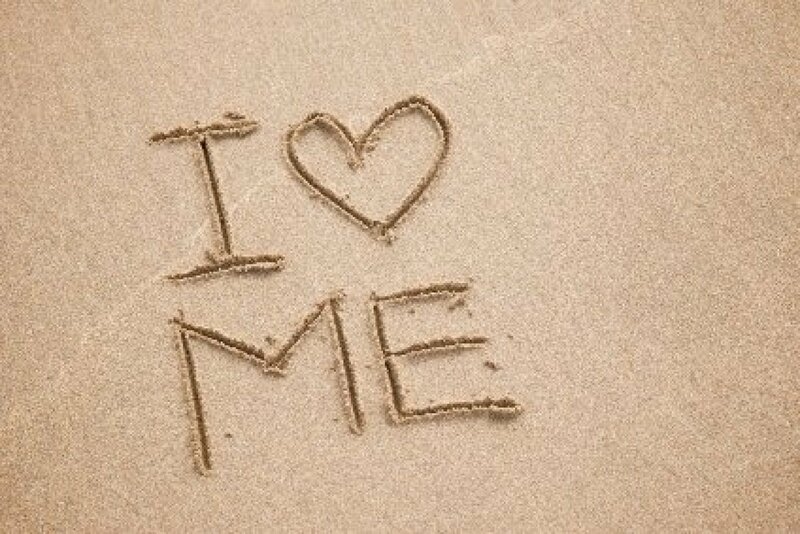 I HAVE WORKED ON MY SELF LOVE FOR SEVERAL YEARS. AND IT MY SELF ISNT JUST BECAUSE OF A CERTAIN FAT % (no idea what mine is) OR MUSCLES. BUT SELF LOVE COMES FROM THE INSIDE AND TREATING MY BODY RIGHT. I often get comments saying, i only love my body because i look a certain way of because of the "trend", but you know what... i love my body for what it can do but also because i treat it right. If i were to starve myself, binge or purge, or begin excessively exercising to try to change my body... i wouldnt love my body even if it looked the way it does now, because i wouldnt be treating my body right. But when i eat right and fuel my body properly and do the exercise i love and live a life which i mostly love, that leads to self love.... aswell as having spent 4 years working on my self love, accepting my body for how it is. And also.... 1 photo doesnt say so much about how a body looks. And i still have my bad body image days but 6/7 days i love my body! Btw Izzy how do You make your "sliced" sweet potato chips? They LOOK so yummy! Thank you :) Ive answered this in a post this morning, and linked to some other sweet potatoe recipes! Hi izzy, i just want to know about your school. do you go to university right now? what course do you take? I little bit confused as you are saying that you are not so often in Stockholm.. or do you get into a new school? I'm from Asian, so i just want to know more about other country school!!! thanks in advance for answering this question.